P06DD code - the engine oil pump features seven vanes and a moving element that continuously adjust to maintain a regulated oil pressure supply by varying the displacement of the pump. The pump has two regulated pressure stages of operation controlled by an on/off solenoid. Low pressure mode regulation (solenoid on) is approximately 200 kpa (29 psi) and high pressure mode regulation (solenoid off) is approximately 450 kpa (65 psi). The Powertraint Control Module (PCM) switches the pump between stages based on engine operating conditions, oil and coolant temperatures, speed and load. Under most typical conditions, the pump will run in low mode from idle up to around 3000 rpm and switch from low to high mode between 3000 and 4000 rpm. The maximum oil pressure in the engine is limited to 1000 kpa (145 psi) by the relief valve. Pressure in the main oil galley of the engine can be monitored with diagnostic equipment through the oil pressure sensor. The minimum pressure for the engine is 41 kpa (6 psi) at any operating condition. Anyting under this pressure could result in damage to critical moving part. Set conditions this code the Powertraint Control Module (PCM) senses the oil pressure is below a calibrated minimum threshold with the Oil Pump solenoid commanded on for 20.0 seconds. Default action the MIL light illuminate. When monitored P06DD code the Battery voltage is above 10.9 volts, the Dual Stage Oil Pump circuit fault and stuck high fault are not active, there are no active Engine Oil Pressure sensor faults, engine running and the engine speed and engine oil temperature are high enough for the Oil Pump solenoid to be commanded on. When the engine oil temperature is lower, the engine speed necessary to enable the Dual Stage Oil Pump will be lower. The minimum engine speed can be between 1000-3500 rpm depending on oil temperature. Insufficient oil pressure due to a mechanical failure in the oiling system. Ensure that the engine oil is at the proper level an ensure that an OEM specified oil filter is being used. Also, review the customers oil change history to make sure that the oil is being changed at the correct interval and that the proper oil viscosity is being used. Start the engine and allow it to reach normal operating temperature. Warning : When the engine is operating, do not stand in direct line with the fan. Do put your hands near the pulleys, belts, or fan. Do not wear loose clothing. Failure to follow these instructions may result in possible serious or fatal injury. 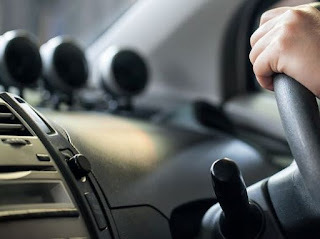 Test drive or operate the vehicle in accordance with the when monitored and set conditions. Is the DTC active or pending P06DD code ? In additionto to the PO6DD fault code, are any of the following related fault codes pending, active, or stored : P0520, P0521, P0522, P0523, or P06DA ? Yes, perform diagnostic procedure for any of the above fault codes that are present. Incorrect engine oil filter (does not meet OEM specifications). Were any of the above conditions present ? Yes, repair the engine oiling or mechanical condition (improper oil drain back, oil sludge, damaged oil pump, pick-up tube or seal, etc). The assembly includes both the pump and the solenoid. There are no serviceable sub-assembly components. In the event the oil pump or solenoid are not functioning or out specification they must be replaced as an assembly. Replace the Oil Pressure Sensor, turn the ignition on, with the scan tool, erase the DTC. Test drive or operate the vehicle in accordance with the when monitored and set conditions, with the scan tool, read DTC. Did the DTC return P06DD code ? Yes, replace the Dual Stage Oil Pump assembly. Perform the Powertrain verification test. No, perform the Powertrain verification test. 2 Responses to "P06DD Engine Oil Pressure control circuit stuck off"